Ms. Gray is a 1993 graduate of Florida State University College of Law. 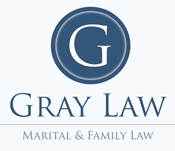 Currently, she is the founding partner of Gray Law which concentrates in Marital and Family Law. She also assists BarBri in preparing law graduates for the Florida Bar exam. Prior to Gray Law, Ms. Gray exclusively practiced marital and family law as a partner with the McCall Moody & Gray Law Firm. She also exclusively practiced marital and family law at Novey Law. Prior to concentrating her practice to marital and family law, she has practiced insurance defense, commercial litigation, collection recovery, and property disputes at Sundberg & Hessman, P.A. Ms. Gray also served as a hearing officer for the Public Employees Relations Commission for over ten years. Additionally, Ms. Gray was a Guardian Ad Litem for over five years investigating and making recommendations to the court on time sharing disputes.